The Beacon Hill Concerts are a series of classical and semi-classical concerts that take place in a newly-built music hall situated on a beautiful privately-owned property near Stroudsburg, Pennsylvania. The series aims at bringing high-quality vocal and instrumental groups to the Pocono region. Now in our twelfth season, with five concerts scheduled for summer and fall 2019, we are once again bringing outstanding musical artists to this area. Guests are welcome and can make inquiries and reservations by emailing the concert director, Dan Crawford at dandcrawford@gmail.com, or calling Jean at 570-476-1308. There is no admission fee, but a suggested donation of $15 adults, $10 seniors, $5 students can be given at the door. Saturday, June 1, 4:00 p.m. 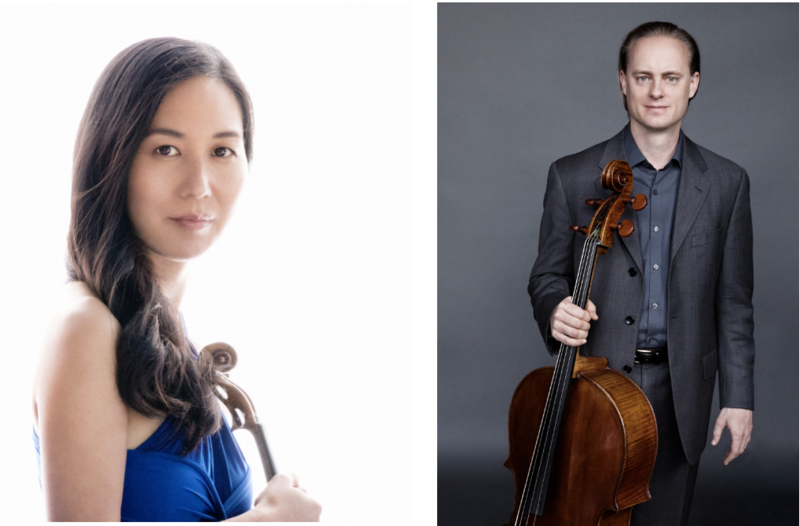 Experience the unique husband-and-wife string duo, Hyeyung Yoon (violin) and Gregory Beaver (cello), with piano accompanist Molly Markowski (making it a Piano Trio). Educated at Juilliard, Hyeyung and Greg comprised half of the Chiara String Quartet for 18 years from their founding to the breaking up of the group last year; (the Chiara Quartet gave us three unforgettable performances in previous summers). As a part of Chiara, they performed the Beethoven, Brahms and Bartok quartet cycles and recorded the latter two BY HEART! Their recording of Jefferson Friedman’s quartets was nominated for a Grammy Award in 2011. Also, the quartet was Artist-in-Residence at Harvard University (2008-2014) and at the Univ. of Nebraska-Lincoln (2005-2018). Hyeyung and Greg have since continued actively teaching, composing, conducting workshops, and performing as soloists and as a duo. Hyeyung teaches at the Hartt School in CT and has just returned from a trip to her native South Korea where she studied a traditional folk performance practice called Madang, which she will share with us in our concert. In addition, the program will include solo works, along with gems from the classical repertoire including Bach solo, a Ravel duo, and Beethoven’s “Ghost” Piano Trio. Join us for what I know will be a lively, virtuosic performance by this talented couple. We present another of Europe’s outstanding vocal ensembles, the 12-member Stile Antico, performing their “sensitive and imaginative” renditions of polyphonic Renaissance music. 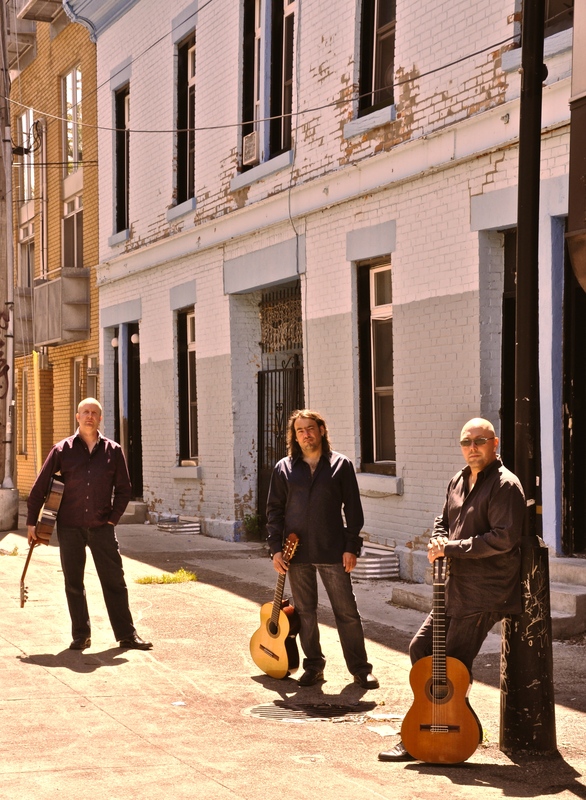 Based in London, the group has toured regularly in North America and on four continents; (recently returning from a trip that included Hong Kong, Macau, and South Korea). 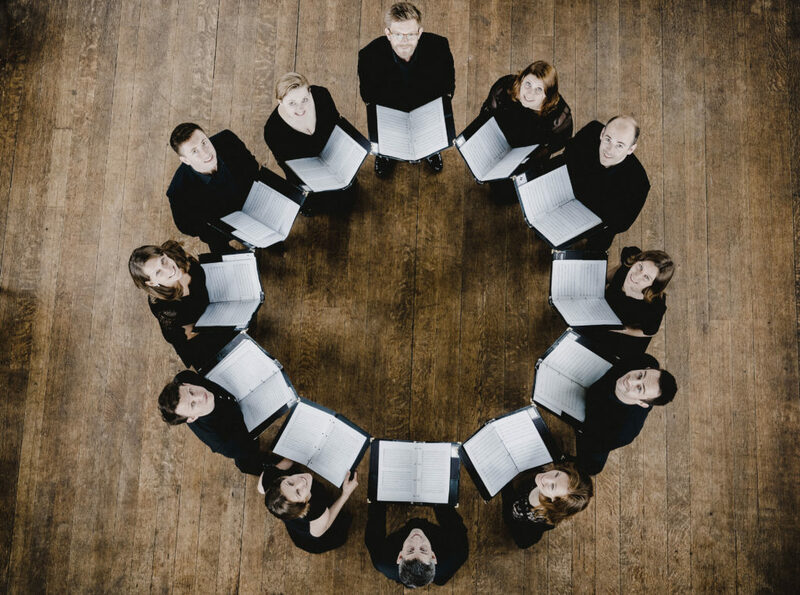 These young singers have appeared in all the major venues and festivals in Europe and will be coming to us directly from a performance of the same concert at the Boston Early Music Festival. I first encountered them in the Netherlands at the Utrecht Early Music Festival where they performed before a packed cathedral audience. Recently, they released their 13th recording, “In a Sorry Land,” with Harmonia Mundi. Saturday, August 3, 4:00 p.m. The Montreal Guitare Trio (MG3) will give us our “semi-classical” concert with a creative program of Spanish guitar music that pays tribute to some of the great Spanish composers such as Manuel de Falla and the flamenco guitarist Paco de Lucia, plus some of the trio’s own compositions, plus songs by George Harrison and Pat Metheny. Saturday, August 17, 4:00 p.m.
For the first time in our Beacon Hill series, we present a piano duo, Arianna & Robin, performing four-hand piano music. 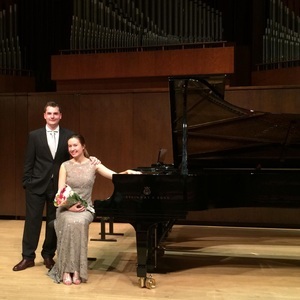 Arianna Korting and Robin Giesbrecht met six years ago at Juilliard while preparing for piano careers as individual artists, both having won impressive Young Artist competitions. Soon thereafter, they performed together at a Pianofest in the Hamptons, and found their passion playing both two pianos and four-hand works.